Probate Attorney | Snellville | Harold D. Holcombe P.C. Probate may be defined as the process of legally establishing the validity of a will before a judicial authority. Once a will is established, then the process of acting in accordance with the terms and conditions of the will becomes the duty of the Executor, who is issued Letters Testamentary by the Probate Court. In Georgia, if there is no will, and there are assets, then those assets should be distributed in accordance with the law (and all debts paid). 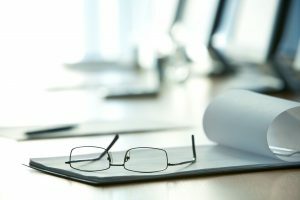 An Administrator is appointed by the Court, rather than an “Executor.” So, if you don’t have a will, your assets will be distributed in accordance with the laws of intestacy, which means the State of Georgia will determine who gets your property. Adding to the problem is that the Court generally will require your Administrator to file reports, make an inventory, and perhaps post a legal bond to ensure that the estate is property cared for. If you care about your family, you need to draft a will with provisions to enable them to administer your estate without undue difficulty and legal problems. It is a great idea to reach out to an experienced probate and estate planning attorney to make sure you are acting in the best interests of your family members. It is always a good idea to plan ahead and make sure your family members will be taken care of when a loved one passes away. Harold D. Holcombe P.C. is here to help you and your family understand probate and estate planning law. Reach out to our Snellville office today at (678) 344-0116 to work with a knowledgeable Gwinnett County family law lawyer who can ensure that your legacy and assets will be allocated according to your wishes.